Roots has a Customer Appreciation Event on now! 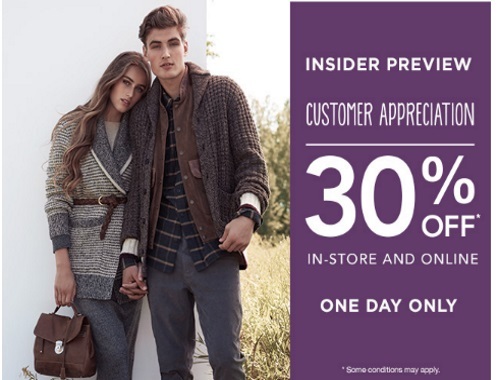 Save 30% off in-store and online with the promo code below! Enter the promo code JUSTFORYOU30 at checkout online. Free standard shipping when you spend $50 or more (before taxes and shipping) on orders within Canada. Offer is valid one-day only, Thursday, October 13, 2016.